Could The Health Law End Up Back In Court? Opponents Think So : Shots - Health News Some conservative scholars think they may have discovered a flaw that could send the law back to court, or at least cause some big problems for its implementation. If you thought last month's Supreme Court ruling upholding the Affordable Care Act was the final word on the legality of the health law, think again. Some conservative scholars believe they may have discovered a flaw that could send the law back to court, or at least cause some big problems for its implementation. To understand the potential problem, first you have to understand a little about how the law is supposed to work. Starting in the year 2014, every state is scheduled to have a health exchange — a sort of online marketplace where individuals and small businesses will be able to go to shop for health insurance. For low- and middle-income individuals, there will be help — in the form of tax credits — to pay for the insurance. My advice to Republicans is get over it. The law is the law and we're moving ahead with it. Quit trying to scare people. States aren't required, however, to set up these exchanges. Indeed, many governors have already said they won't. The law takes that into account, and says if the states don't create an exchange, the federal government will set one up and run it instead. "The statute doesn't authorize tax credits in federal health insurance exchanges; it authorizes them solely through state health insurance exchanges," says Michael Cannon, head of health policy at the libertarian Cato Institute and an opponent of the health law. Cannon says when he first discovered the anomaly last year, he assumed it was a glitch. He says further research showed it might have been intentional. In a paper out this week, Cannon and Jonathan Adler, a law professor at Case Western Reserve University, claim Democrats decided that it was important for states to run the exchanges. The faction that prevailed in writing the law, Cannon says, decided to offer the tax credits in exchanges established by the states and not offer them in exchanges established by the federal government because that would be a tremendous incentive for states to create exchanges. Cannon says as a result of that decision, recent rules issued by the IRS allowing tax credits to be offered in exchanges run by either the states or the federal government are, in his words, "illegal." "The clear language of the statute and the legislative history show that the IRS does not have the authority to do that," Cannon says. But that opinion is far from universal. "That's, unfortunately for them, wrong," says Timothy Jost, a professor at the Washington and Lee University School of Law and a strong backer of the health law. Jost admits the law isn't written as clearly as it could have been. But he says it is pretty clear that a federally run exchange will be able to do everything a state exchange can, including provide tax credits, despite Cannon's claim that federal exchanges can't. "This is an interesting theory, but it's completely contrary to the structure of the legislation and even the language of the legislation," he says. 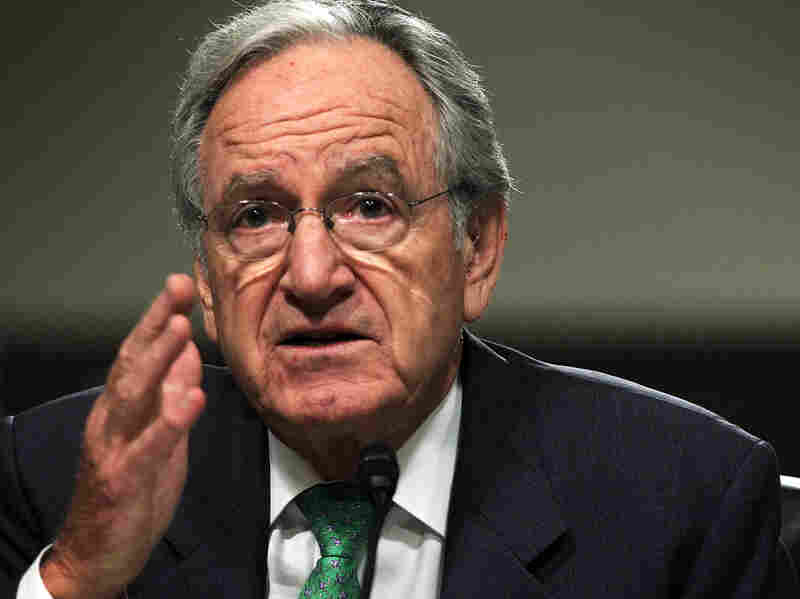 Democratuic Sen. Tom Harkin of Iowa, who was involved in writing the health law, rejects claims that federal health exchanges won't be able to provide tax credits. And what about Cannon's assertion that Senate Democrats gave only the state exchanges the right to provide tax credits as a way to encourage the states to create them? A quick survey of Senate Democrats involved in writing the health law didn't uncover any who recall it that way. "No, I think they're available in both," says Tom Harkin, the Iowa Democrat who chairs the Senate Health, Education, Labor and Pensions Committee. Sen. Ron Wyden, an Oregon Democrat and senior member of the Finance Committee, remembers it the same way. "That's correct, and I make that judgment based on everything that came up in the Senate Finance Committee and the fact that the exchanges were something that were popular on both sides of the aisle," Wyden says. In fact, Democratic senators like Ohio's Sherrod Brown say that those who are still trying to challenge the law are just out to make trouble. "They're just going to keep trying to find things in the law that they think, for whatever reason, won't work," Brown says. "I just think they should be ashamed of themselves." Harkin was more blunt. "My advice to Republicans is get over it. The law is the law and we're moving ahead with it. Quit trying to scare people," he says. But between now and Election Day, opponents of the health law are likely to continue to hammer at it any way they can.